In 2014, the Utah state legislature passed an insurance law, a mandate, requiring certain health insurance plans to cover autism. This law will begin affecting those plans on January 1, 2016. Similar laws were passed in 36 states before Utah, and in many of those states, consumers encountered unexpected roadblocks in getting services covered. For those whose insurance is not affected by the new law, there may be steps that can lead to coverage. Presenters from around the country will share their experience with and knowledge of the system at a free community event. The Autism Mandate Summit will be held at the Adobe headquarters building in Lehi, Utah from 5:30-9:30 pm on September 28th. In addition to the main location, the event will be broadcast live to multiple sites around Utah, which will also offer resource fairs. Some locations will have limited childcare available. Registration is needed to reserve a seat. 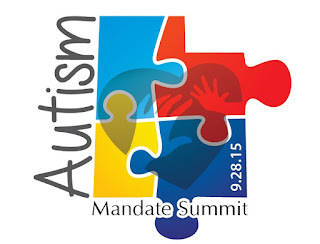 For more information and to register visit www.autismmandatesummit.org. In the mean time, check out this FAQ about the law.